In response to the current demand for 3D printing technology, MecSoft Europe GmbH has introduced its new 3D print product as a fully integrated plug-in to the 3D CAD system, Rhinoceros 5.0. This new product offers efficient, easy and automatic tools for preparing 3D data that otherwise cannot be 3D printed. 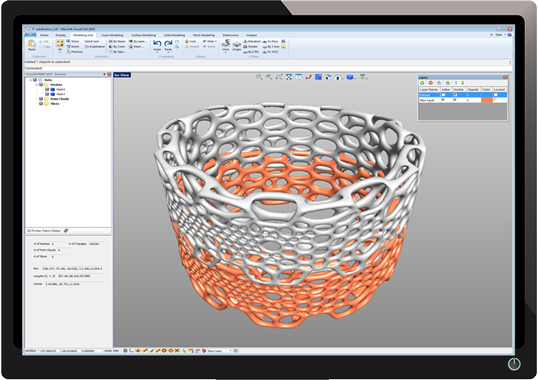 The seamless combination of Rhino’s powerful modelling and extensive file import functionality with Rhino3DPRINT’s data preparation tools enables the user to 3D print models from almost any input source and any major 3D format. 3D printing isn’t rocket science … or is it?